The modern car seatbelt was invented by a former aviation engineer, whose experience included working on ejector seats. By 1959, cars had seatbelts but only two-point waist restraints. In a car accident, this often did the wearer as much harm as good. Volvo engineer, Nils Bohlin, created a design which anchored the straps low beside the seat. This meant that the geometry of the belts formed a “V” – pointing at the floor – and that the belt would remain in place and not shift under sudden loading. Such a significant advance in driver and passenger safety could have netted Volvo a fortune on the patent. Instead, they gave it away. They decided that the invention was so revolutionary that its value should not profit their company but be a free, life-saving tool. 15 per cent where the injuries would have been less severe. An injured person can get off scot-free, however, in rare circumstances. There should be no reduction in compensation if the injuries would have been the same even if a belt had been worn. In this article, we will look at 3 cases in which injured vehicle occupants did not suffer a reduction in their compensation even though they were not wearing a seatbelt at the time of their accident. Well, in fact, in one of them, there was a deduction – of 10%. In the other two, there was no contributory negligence. Can you spot which set of facts is the odd one out? These are all cases where the accidents happened in the 1970s and courts issued their decisions during the period 1980 to 1982. Note that it did not become compulsory for drivers and front passengers to wear seatbelts until 31 January 1983. It’s not clear whether courts would apportion blame in these cases in the same way today as they did 40 years ago. 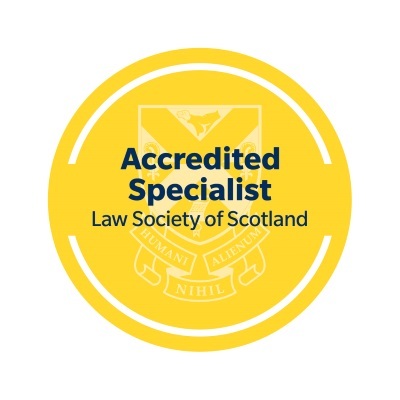 However, one of the main personal injury reference books for Scottish lawyers – McEwan & Paton on Damages – still cites them as legitimate examples of contributory negligence assessment in action. Each case always depends on its own facts, which is why there is always scope for argument about contributory negligence. A 67-year-old lady was a passenger in a car which was in a collision with another vehicle. She said she was not wearing her seatbelt because she suffered from a hiatus hernia. In that car, the seatbelt ran across her chest and caused her discomfort. She also said that she would wear a seatbelt in a smaller car and for longer journeys. On short journeys such as the one where she was injured, it was not her practice to wear it. Was she found to be to any extent to blame for her injuries? A husband and wife, both in their forties, were injured when another vehicle struck their car. The wife was at the passenger side – which took the brunt of the impact – and she was trapped in the wreckage. She was pushed round and in the direction of her husband in the driving seat. Her main injuries were to her back. She had fractures of four vertebrae. She also suffered a broken left arm, injuries to her leg and to her face. She was not wearing her seatbelt. Do you think there was any finding of contributory negligence against her? This 38-year-old front-seat passenger was injured while travelling in a van driven by her husband. It was in collision with another vehicle. At the time of the accident, she had held on to the passenger door grab handle but had been swung round with her seat to face the offside. She had stretched her shoulder awkwardly and had also hit her head on the windscreen. In this case, the pursuer’s reason for not wearing a seat belt was that it was floury and might have dirtied her clothes. Was that a good enough excuse? The odd one out is the third example (“The floury seatbelt”). In the first and second cases, the court decided that there was no acceptable evidence that the injuries would have been lessened if the injured woman had worn a belt. There was no reduction of the injured person’s compensation in either of these examples. As we hope you can see, failure to wear a seatbelt in a road traffic accident situation will usually mean any injury compensation you get is reduced by a percentage for contributory negligence. 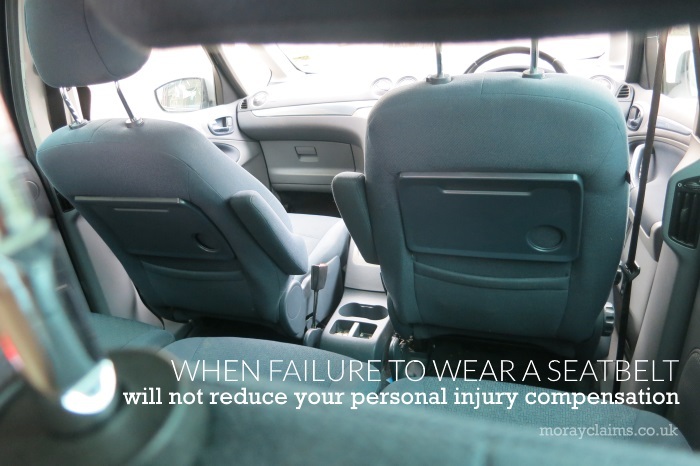 On the other hand, there are some instances when not wearing a seatbelt will not reduce your personal injury compensation at all. Just as Volvo made a free gift to the world of their three-point seatbelt invention, so the law of causation occasionally presents an injured vehicle occupant (who ought to have been wearing a seatbelt but was not) with the free gift of “no contributory negligence”. 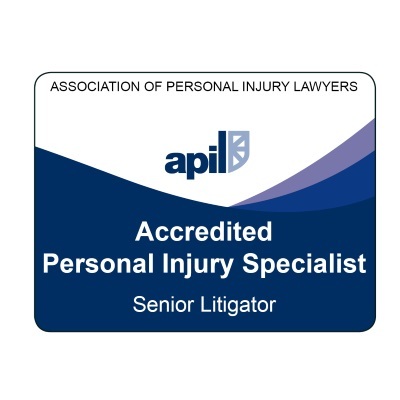 It’s always a good idea to get advice from a specialist personal injury solicitor, if contributory negligence is a possible factor in your case. It’s easy to get it wrong, if you don’t apply the proper legal principles. Should you have any questions about anything covered in this article, please get in touch with us. All initial enquiries are at no charge and without obligation. 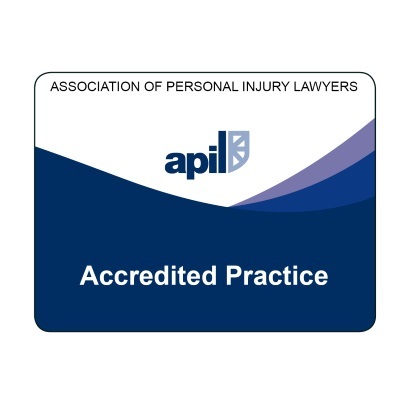 Call either of our accredited specialist personal injury solicitors (Marie and Peter) on 01343 544077 or send us a Free Online Enquiry.